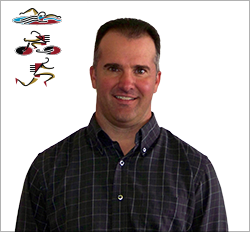 Rick has been in practice as a licensed physical therapist since 1999. He graduated from Colorado State University with a B.S. in Sports Medicine and a Master's Degree in Exercise Physiology. He then attended CU Health Sciences Center, where he graduated with a Master's of Science Degree in Physical Therapy. In 2003, he started ProCare Physical Therapy in Parker, CO. Since this time, Rick has worked diligently to foster relationships with referring physicians, patients, and the community. He has been a resident of Parker since 2001 and has a vested interest in the community. Rick specializes in treating all orthopedic patients, but has a special interest in treating those with knee, shoulder or spinal problems. He strives to stay up-to-date on the latest research/treatment techniques concerning physical therapy and medically related subjects to ensure his patients are receiving the most effective treatment possible. He has been a member of the American Physical Therapy Association since 1997. Outside of work, Rick enjoys spending time in the mountains, golf, and cheering on his son in football, lacrosse, wrestling and golf. Scott graduated with B.S. in Biological Sciences from Colorado State University. He fell into a computer job and was a software engineer for several years. With the desire to more directly help people, he returned to school at the University of Colorado Anschutz Medical Campus where he received his doctorate in Physical Therapy. Scott enjoys keeping up with current research, always looking for more efficient ways to help his patients get better. He has taken various continuing education classes in manual therapy and is certified in Dry Needling. Scott has sustained injuries of his own so empathizes well with his patients. He loves how physical therapy helps the body heal without medication or surgical intervention. Scott loves to keep active and enjoys all that Colorado has to offer. He enjoys snowboarding, volleyball, racquetball, mountain biking, hiking, snowmobiling, scuba, basketball, of course spending time with family and friends (furry and non :) ). If it's fun, he'll try it! Michelle received her masters degree in Physical Therapy from the University Of Nebraska Medical Center in 2003. Prior to that, she has worked in the field of Physical Therapy in several roles, including physical therapist assistant since 1995. Michelle's focus in practice is primarily outpatient orthopedics. She treats post-operative conditions sports related injuries, chronic conditions and spine related injuries. Michelle has had extensive training in manual therapy techniques which have been foundational in diagnosing and treating the primary cause of insidious, recurrent orthopedic conditions. Her primary interest is always addressing the biomechanical dysfunction causing injury, treating it, and educating patients in long term management. Michelle is trained in trigger point dry needling, and had been practicing it for over 7 years. Outside of work, Michelle enjoys time with her family getting outside camping, skiing, hiking and jogging. Corrie attended Heritage College receiving her Associate's Degree in Massage Therapy in 2004. She has been a member of Associated Bodywork and Massage Professionals (ABMP) since 2004. Corrie was fortunate to find ProCare Physical Therapy directly following graduation and has been there ever since. She plays an integral part in each patient's treatment plan and works with the physical therapist to ensure a safe recovery. Corrie specializes in deep tissue, trigger point therapy, neuromuscular, sports related injuries and post surgical rehab. She wholeheartedly loves her profession and tailors every session to the specific needs of each patient. Corrie stays up to date on treatment techniques by regularly attending continuing education classes. Outside of work, Corrie loves to travel, hike, read, and most of all, spend time outdoors with her family. Corrie is married and has two wonderful sons.